NMIMS, formerly Narsee Monjee Institute of Management Studies, is a deemed-to-be-university institute headquartered in Mumbai, Maharashtra, India. NMIMS was established in 1981 by Shri Vile Parle Kelavani Mandal in Vile Parle, Mumbai as a MBA college affiliated to University of Mumbai. NMIMS was granted deemed university status by the UGC in 2003. After being awarded deemed university status in 2003, NMIMS has expanded to six campuses across the country. Courses and programs offered by the institute include management, technology, science, architecture, pharmacy, commerce, economics, law, engineering and liberal arts. Mumbai campus has eleven schools under its umbrella offering undergraduate, postgraduate, integrated and doctoral programs. Mumbai Campus was accredited by NAAC with 3.59 CGPA (on 4 point scale) and Grade A+. Selection Criteria is based on NPAT BBA, NMAT by GMAC exams. 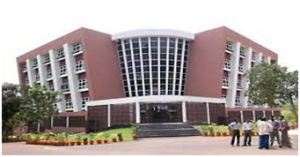 Chetana’s Institute of Management and Research (CIMR), the dream of our Founder President Late Shri. Madhukarrao D. Chaudhari took a concrete shape in 1996. The multi-cultural outlook at CIMR ensures a stimulating learning environment for the students. Strong emphasis is placed on student participation in various co-curricular activities that help students discover their latent talents. Chetana’s, true to the name, keeps their mind and heart involved. Located in the heart of the commercial capital of India, CIMR offers a unique opportunity for students to realize their full potential. CIMR is conveniently located in proximity to airport and railway station. Medical facilities, post office, banks and other amenities are available within a radius of 1 km. Lodging / PG/hostel services are easily available around the campus as the Institute has been attracting students from across India in the last three decades and more. Proximity to BKC (Second Financial Hub of Mumbai), Entertainment centres and Malls keep students connected to Industry and business. The Institute is designed to facilitate the differently – abled learners. The programmes are conducted in Four Semesters, spread over a period of two years. Classes are held for six days a week. First-year covers the foundation courses, which are compulsory and are common for PGDM, PGDM-Marketing, PGDM- Retail and across all specializations. After the first year, it is mandatory for the students to undertake summer internship for a period of 8-10 weeks in a commercial/social organisation which is facilitated by the Institute. In the second semester, the Institute facilitates for ‘Off – Summer Projects’. The institute offers specialization in the areas of Marketing, Finance, HR, Systems and Operations. It’s curriculum ensures the adaptability required to meet VUCA environment. The curriculum exposes the students to real life situations & sharpens their thinking to generate innovative ideas & solutions and view their discussions/ decisions in the light of various constraints. Specialised Marketing subjects apart from other important, relevant & contemporary subjects are offered to all the students. A cross-sectoral perspective is provided at the very beginning, so as to facilitate clarity on their choice of super-specialisation during the programme itself. Hence, no separate specialisation is offered to these students. Specialised Retail subjects apart from other important, relevant & contemporary subjects are offered to all the students. It provides a comprehensive view of the dynamics of the retail sector and equips the students with the necessary sector-specific skill sets to effectively meet the growing demands of the retail sector. Hence, no separate specialisation is offered to these students. Passed with minimum of 50% marks in aggregate (Aggregate marks means the grand total of marks obtained by the candidate in subjects based on which the class declaration is made in the particular University from which the candidate is passing the qualifying examination. The percentage of marks obtained by the candidate in the bachelor’s degree would be calculated based on the practice followed by the university/institution from where the candidate has obtained the degree.) or equivalent CGPA in any Bachelor’s Degree awarded by any of the Universities incorporated by an ACT of the Central or State Legislature in India or other educational institutions established by an act of Parliament or declared to be Deemed as a University under Section 3 of the UGC Act, 1956 of minimum three years duration in any discipline recognized by Association of Indian Universities (10+2+3) or possess an equivalent qualifications recognized by the Ministry of HRD, Government of India. Candidates appearing for the Final Year Examination of any Bachelor’s Degree of minimum three years duration can also apply subject to fulfillment of eligibility criteria of admission. Appearing/Appeared and secured non-zero positive score or marks or equivalent score in any one of the equivalent examination viz. : CET-MAH-MBA / MMS (conducted by DTE, Maharashtra State), CAT (conducted by IIMs), MAT (conducted by AIMA), XAT (conducted by XLRI), ATMA (conducted by AIMS), CMAT (conducted by AICTE, New Delhi) for the Academic Year 2017-2018. If the candidate has failed and applied for revaluation of the result, in such cases the admission to such candidate will be on provisional basis subject to the condition that he/she will pass the examination with the required percentage of marks on or before 10th August, 2017. Undertaking from such candidates shall be taken for forfeiting the right of admission and fees paid in case of not securing required percentage of marks in qualifying examination. In case, the candidate fails to produce the results of the final year examination on or before 10th August, 2017, then admission offered to such candidate automatically gets cancelled and the fees (tuition, development and other fees) paid by the candidate for the academic year 2017-2018 stands forfeited. Group Discussion (GD) and Personal Interview (PI) conducted by the Institute. Candidates should be of an Indian Nationality / Origin. Mumbai Educational Trust is an academic institution located in Bandra, Mumbai and Nasik. It offers degrees in areas including Management, Information technology and Mass media. Established in 1989, with a mission to redefine the system of education, MET is a professionally managed, multi-disciplinary and multi-faceted oasis of knowledge. Its premiere educational institutes conduct university accredited and autonomous courses. The grant of the ISO 9001:2008 certification is an acknowledgement of the institution’s capability to deliver professional education that meets the highest standards of professionals worldwide. All this, to help young professionals face the challenges of life. And make their mark in the corporate world. MET, Mumbai has a wi-fi campus with state-of-the-art AC classrooms. E-enabled libraries that dock over 26,000 books, 200 periodicals and 30,000 international online magazines and databases. Fully loaded information and technology centres with wi-fi connectivity. Conference rooms equipped with the latest audio-visual facilities and learning aids to create a quasi-corporate ambience. A hi-tech convention centre for seminars and management workshops. Recreation areas to unwind. No effort has been spared to create an environment that encourages students to push the limits of their minds. Take a walk through the wi-fi enabled MET Campus with world-class, state-of -the-art facilites, and you’ll realise what makes it a cut above the rest. Rizvi Institute for Management Studies & Research (RIMSR) is a manifestation of the philosophy of holistic quality education. Set up in 1994, the institute has in its journey so far created a niche for itself in Management Education. RIMSR is affiliated to the University of Mumbai, approved by All India Council of Technical Education (AICTE) and recognized by Directorate of Technical Education (DTE). Rizvi Institute of Management Studies and Research offers the two-year full time post-graduate course, Master of Management Studies, affiliated to University of Mumbai and approved by AICTE. Two years full-time Post Graduate Degree Course affiliated to the University of Mumbai. The two year full time MMS programme is made up of 4 semesters. The first year comprises of 2 semesters wherein the first semester is designed for understanding the basic principles of business. The second semester emphasizes on core as well as special subjects. The second year branches out into five specializations, namely; finance, marketing, operations, human resources & information technology. Each of the specialisation offers a thorough grinding in the respective functional operations. Full-time Doctoral Programme for women affiliated to The S.N.D.T. Women’s University. Open Management Development Programme for Corporates. Customized Management Development Programmes for Corporates. Appeared for the Common Entrance Test (MAH-MBA/MMS-CET), conducted by competent authority OR appeared for any other examination like CAT, MAT, ATMA as mandated by the competent authority. Seats allocated through the CAP round. Seats allocated for Muslim Minority. Seats allocated at Institute level. For the seats belonging to the CAP round, the admission is governed by the DTE. For the seats belonging and reserved for the Muslim Minority Community, the admission is conducted by the Institute as per the inter-se merit list of the CET scores conducted by the competent authority. For the Institute level seats the admission is conducted by the Institute as per the inter-se merit list of the CET scores conducted by the competent authority. 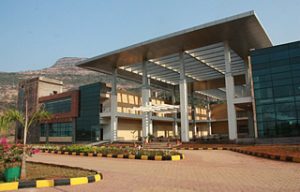 Universal Business School (UBS) is a business school in India with a campus in Karjat, Mumbai. UBS is funded entirely by private individuals. UBS is a not-for-profit organisation set up as a Section 25 company. The school was founded by three senior executives, from Thomson Reuters, Omkar Realtors & Developers and Blue Star and is governed by a board comprising both Indian and non-Indian senior executives. Universal Business School is accredited by AICTE to give postgraduate MBA and Executive MBA in India. Universal Business School is accredited by the All India Council of Technical Education (AICTE), a statutory government body which accredits specific graduate and postgraduate programs.by AICTE, Government of India. UBS’s flagship programme in management is a 15-month-long programme focused on Experiential Learning with 80% hands-on practical learning. The 15-month programme is an intensive programme. This programme attracts students who have over 5 years work experience. This is a 15-month-long programme focused on Experiential Learning with 80% hands-on practical learning. The 15-month programme is an intensive accelerated programme offers advanced management subjects which propel students to the middle to senior levels in organisations. This course is AICTE Approved. UBS’s is a 24-month programme is built on the 80% practical learning. This course is AICTE Approved. This course allows students in the first year to build a strong foundation of management skills and practice across all major functional areas. In Year 2, students get into their specialisations after a 2-month summer internship. Specializations offered in MBA course is Marketing, Human Resources, Finance, Product Management, Health Sector Management, General Management and Project Management. This programme attracts students who want a global MBA Degree and who are interested in pursuing the UK education system. This programme attracts students who want an international bachelor’s degree in Business Management and are interested in pursuing the UK education system. UBS awards scholarships on both merit and financial need basis to students, selected on the basis of academic and professional performance as well as personal qualities such as leadership, integrity, and community service.